Live Ultimate Texas Hold'Em Poker – The number one poker variant on the internet today is Texas Hold’em poker. No other poker games are worth the purses or have the level of excitement which can be had when playing this poker variant. Evolution Gaming’s Live Ultimate Texas Hold’em is naturally the top dog when it comes to live dealer versions of the poker game, but what can the game offer you, and what options do you have in terms of gameplay? 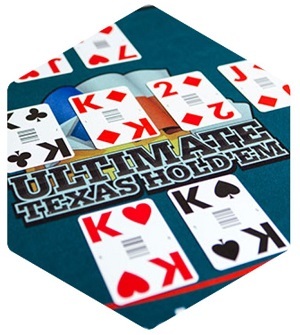 Live Ultimate Texas Hold’em Poker: This base game can see players go head-to-head against one another and the house (unlike Evolution’s Live Casino Hold’em). The dealer must have a pair to qualify, and the usual Flop and River bets are in place, with the player able to raise after the ante bet. This game is played with a single deck and is mobile-friendly. Players cannot adjust the cameras in the game, but with such excellent coverage anyway, they won’t need to. Texas Hold’em Bonus Poker: Although it is not Ultimate Texas Hold’em, another variant called Live Texas Hold’em Bonus Poker does exist. This game is played with another single deck but is streamed out of far more locations. It offers up two additional side-bets, fused into one: namely, the Triple Bonus Bet and a First Five Progressive Jackpot bet. Players do not play against one another in this game, and the number of seats available is unlimited. – Dont count on rakeback as there is none at this version of Hold'Em. 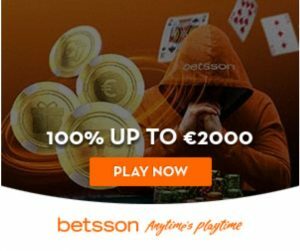 – Ante- and Blind Bets are mandatory for all participating players. – Practice, practice and practice as Skill does come to value in this game! – Focus on the dealer, the other players are NOT your opponents at Ultimate Texas Hold'em. Evolution’s Ultimate Texas Hold’em Poker is streamed out of Latvia, just like their Trips Bonus Bet game. The game is mobile-friendly, so, it can be played on all modern iOS and Android-powered smartphone and tablet devices. The basic game doesn’t contain side-bets, so you’re going to want to play the Triple Bonus Bet version for those. Just a single deck of cards is used in this live dealer casino game. Should you wish to play the Live Texas Hold’em Bonus Poker variant (not the Ultimate edition), you will also be using a single deck of cards in a mobile-friendly game. HD quality streams for this game, though, come from Canada, Georgia, Malta, and Romania and a random shuffle feature is incorporated into the game’s design. Live Ultimate Texas Hold’em is perhaps the most challenging live dealer table poker game you can play at online casinos. This game requires extensive knowledge of the poker hands as well as basic poker rules. If, for instance, you already know how to play casino hold’em or Texas hold’em, you’ll have a much easier time getting to grips with the rules of this game than if you a poker newbie. Even so, we can guide you through the ins and outs of playing Live Ultimate Texas Hold’em poker here. The Bet: To begin with, players must first place an ante bet and a blind bet. These bets must be equal. In Live Ultimate Texas Hold’em, you are playing against other players, as well as the dealer, so you need to be mindful of what other players are wagering, too. The Deal: Once bets have been made, the dealer will deal two cards to both themselves and the other players. The dealer’s cards are dealt face down. You won’t be able to see what the other players have, either. Three Community Cards will also be dealt into the centre of the table – known as the Flop – although these will not yet be visible. There will also be two additional community cards (known as the turn and river cards) and they, too, will not be visible just yet. The Value of the Cards: Live Ultimate Texas Hold’em poker uses the following hand ranking: Pair, Two Pair, Three of a Kind, Straight, Flush, Full House, Four of a Kind, Straight Flush and a Royal Flush. The Play: Once you’ve got hold of your cards, you can choose to check or play. Placing a play bet must be at least x or 4x the original ante bet. The dealer will then turn over the three community flop cards. Players who have checked can choose to place a play bet which is worth 2x the ante or check. Players who have already set a play bet may not do anything else. The final two community cards (the turn and river cards) are now turned over. Any player who has checked twice already must place a play bet equal to the ante and blind bets or fold. If you fold, you lose both your ante and blind bets. Players who have already raised (placed a play bet) cannot bet again. Both the dealer and the players still in the game will now try to form the best hand they can, using combinations of their two cards and the community cards. The dealer requires at least a pair to qualify. If the dealer fails to qualify but wins the game anyway (which is very rare), ante bets are considered a push, while players’ play bets and blind bets are lost. If the dealer fails to qualify and is beaten by the player’s hand, your ante bet is a push, and you can pocket 1:1 on play bets and a blind bet is paid out via the blind paytable (see below). If the dealer does qualify and wins, all your bets are lost. However, if the dealer qualifies and you beat them, you can bag a 1:1 payout on your ante, a 1:1 prize on your play bets and a blind bet is paid out via the paytable below. In the event of a tie, all bets are pushed, and stakes returned. Does your game have a Bonus Bet feature activated? As mentioned, players need to ensure that their Live Ultimate Texas Hold’em Poker game has the Triple Bonus Bet feature available if they wish to use it. Most do, but it is worth double-checking just to be sure. Finding out it doesn’t while you’re in the middle of a session is not ideal. Are playing against the dealer or other players, too? Again, this is simple background work. Live Ultimate Texas Hold’em Poker allows you to play against the dealer and other players, but Texas Hold’em Bonus Poker does not. They are both Texas Hold’em variants and are easily confusable, so be sure you’re playing the right one if a casino offers both games. Like almost all live dealer games from Evolution gaming, you can chat with the dealer. However, it is sometimes possible to talk to other players, and this may work well for you if you’ve got a knack for it. Talking to other players (if they are open to it) not only builds a community, but it can also be used to destabilise their thought processes. The dealer must have a pair to qualify. If the dealer cannot open with a pair, they don’t qualify, and thus your ante bet is a push. Only if the dealer qualifies (and you win) will you pocket money on your ante bet. If you’re after the ultimate Texas hold’em poker experience and in live casino format, why not go with the game which advertises its quality? Live Ultimate Texas Hold’em Poker is ideally suited for professionals and experienced poker players. However, with a bit of practice, even amateurs and newbies can find the game an exhilarating poker experience. This is especially true when trying their hand at tournaments featuring this game.